Very few of Carl Barks' original comic book pages have survived to the present day. Some may find it strange to learn that just a fraction of the thousands of pages have actually survived, but there is a reason; In the days when Barks drew his stories, comic magazines were not considered to be of lasting value - in fact, Barks himself just regarded comic books to be nothing but a passing fad - so there was no incitement to save the originals. At the time Barks' publisher, Western, employed dozens of artists who were producing a broad variety of comic book titles, and Western had no place for storing the humongous number of finished art sheets. And they didn't think they had any reason to do so. After they had received the material from the artists the large sheets were photographed for printing, whereupon the sheets became unnecessary. They were taken to the publisher's incinerator and unceremoniously burned ! Today we may find some consolation in the fact that about 3% of Barks' artwork has been saved for posterity. There are several reasons for this: some of the artwork was rejected by the publisher (and consequently stayed with Barks), some pages or panels were scrapped (and then filed by Barks), and some pages were rescued from the incinerator by employees at Western. 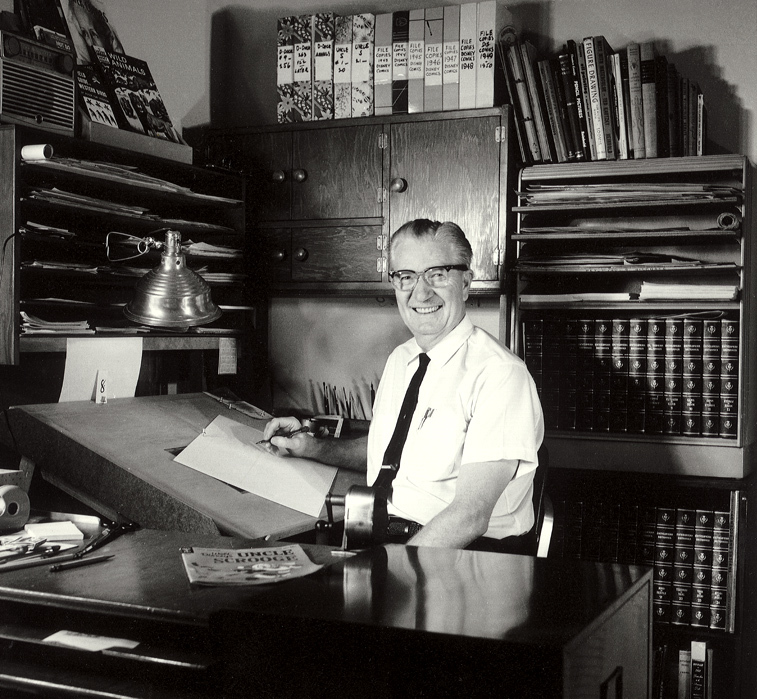 Most of the surviving artwork was later published in various organs such as the Carl Barks Library, but only on this website you will be able to find a full visual account of all the finished, inked artwork - published and unpublished that have survived. Much of the material is now in private collections, and it is not the intention of this website to disclose any confidential information about the whereabouts. Known prices of the artwork sold on auctions will be mentioned. 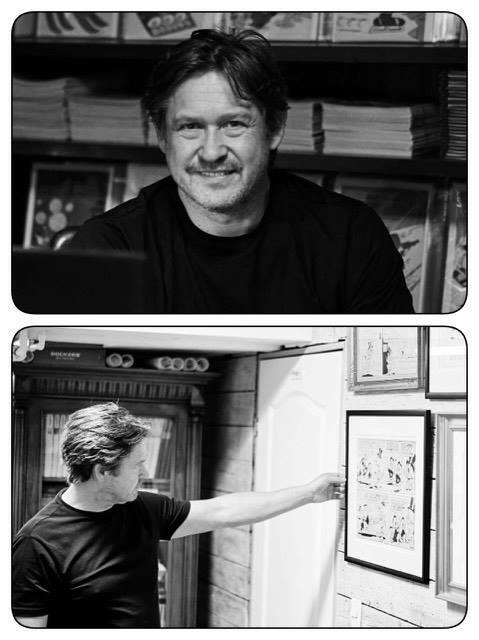 You will also be able to find much information seasoned with brief comments from Barks himself about his surviving artwork. 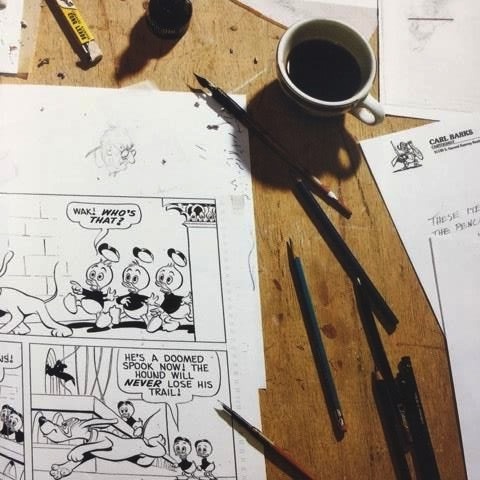 The intention of this website is also to get in contact with owners of original comic book pages /covers by Carl Barks on different levels, as for example presenting their original pages, value estimations, buy offers and history of the artwork.